An autumn tradition like no other will take place on Sept. 11 from 11 a.m. to 4 p.m. in a blustery field on Northern Illinois University’s campus at the corner of Lucinda Avenue and Kishwaukee Drive in DeKalb. Open your e-magazine now to learn more about Dekalb Kite Fest. Your Technology: Are You Paying Too Much for Tech Services? 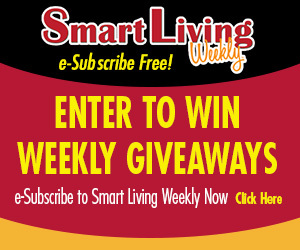 Congratulations to Amy Watson of Belvidere, this week’s Smart Living Weekly giveaway winner! Amy takes home a $25 gift card to Prairie Street Brewing Company, in Rockford. Next week’s giveaway is a $25 gift card to Molly’s Attic, in Belvidere. Enter now by visiting northwestquarterly.com/contest. This entry was posted on Wednesday, August 31st, 2016 at 5:00 am	and is filed under Arts & Entertainment News & Events, Business News & Events, Mind & Spirit News & Events, News & Events, Smart Living Weekly, Smart Living Weekly. You can follow any responses to this entry through the RSS 2.0 feed. Both comments and pings are currently closed.